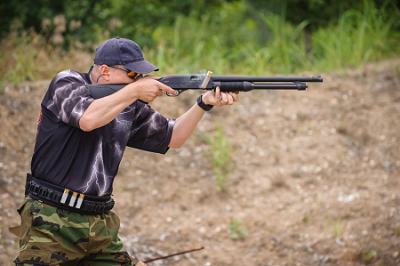 The goal of the Second Amendment Foundation Training Division's “F.A.S.T Shotgun” course is to provide the student with a solid foundation in basic knowledge of Shotgun "Fundamentals and Safety Training" on your specific Shotgun, a basic understanding of ammunition and how it functions as well as shooting fundamentals. A person new to the use of a firearm for personal defense typically has a broad range of questions and is faced with learning a number of skills that are critical in the safe use of a firearm – in this case a Shotgun. F.A.S.T Shotgun is specifically designed to provide a person new to Shotguns the opportunity to gain that knowledge and learn the basics of operation, cleaning and maintenance, safety and much more in a convenient 4 hour course. “F.A.S.T Shotgun” is also meant as an introductory course for students new to shotguns prior to taking SAFTD Defensive Shotgun 1. Safe handling of your firearm. Safe Storage of your firearm and ammunition. Ear and Eye protection (electronic muffs preferred). 50 Rounds of Ammunition: Factory fresh ammo only. NO RELOADS or specialty ammo. Comfortable clothing, knee-pads (optional but recommended). Hydration system or Bottled water. Shoes – comfortable with sufficient support to permit a full range of motion. No sandals or flip-flops.